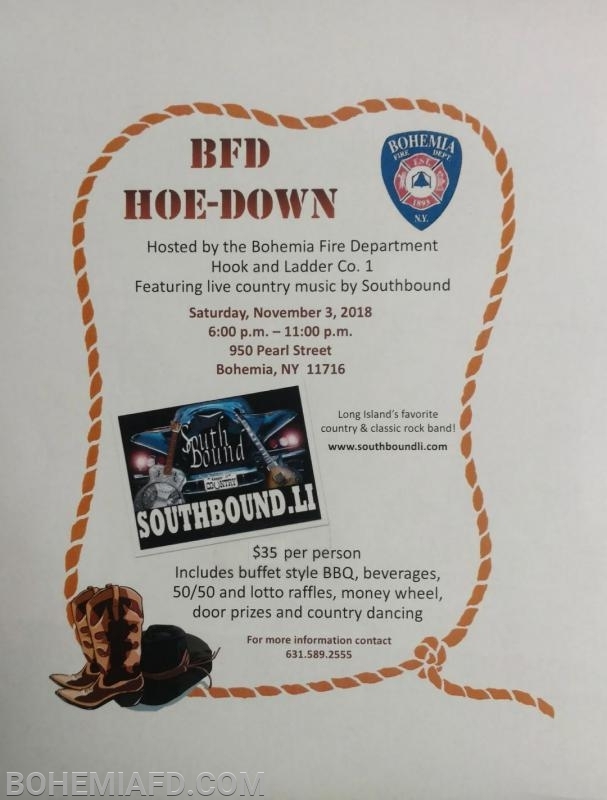 Saturday, November 3rd Bohemia Hook and Ladder Company is presenting their annual Hoe Down at Headquarters at 950 Pearl Street from 6-11pm. $35 a ticket gets you a live performance by country western band Southbound, country dancing, BBQ & beverages, 50/50 and Lotto raffle, and door prizes. Contact Headquarters at 631-589-2555 for tickets.